Although I’ve done a lot of dining out in Key West, a vacation here wouldn’t be complete without cooking at least one dinner with my mother. On my last day of vacation, we’ve decided to cook some local seafood and vegetables. 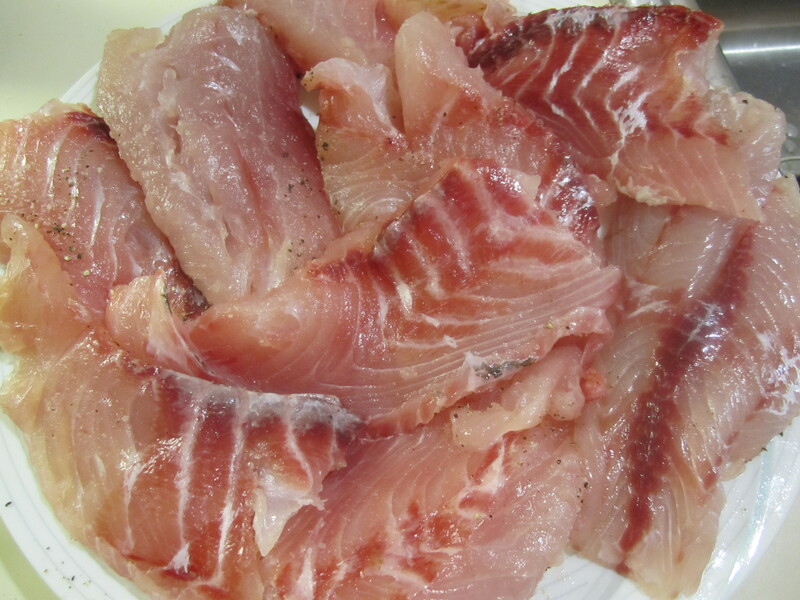 At “Fishbusters,” my favorite fish monger in town, we decided on yellowtail, which happened to look terrific today,. The fish had bright clear eyes and glossy, non-slimy skin with that streak of yellow on their backs. The fish mongers were very proud of their catch and filleted each fish to order. I’ve already eaten a lot of grouper and mahi out at restaurants all week., but yellowtail is much more delicate and pristine than either of those other fish and is probably my favorite tropical fish. In addition to yellowtail, the jumbo stone crab claws looked terrific. They are already boiled and ready to crack and eat. They need to be aggressively cracked with a mallot (the fish monger did it) and then simply kept on ice until dinner time. 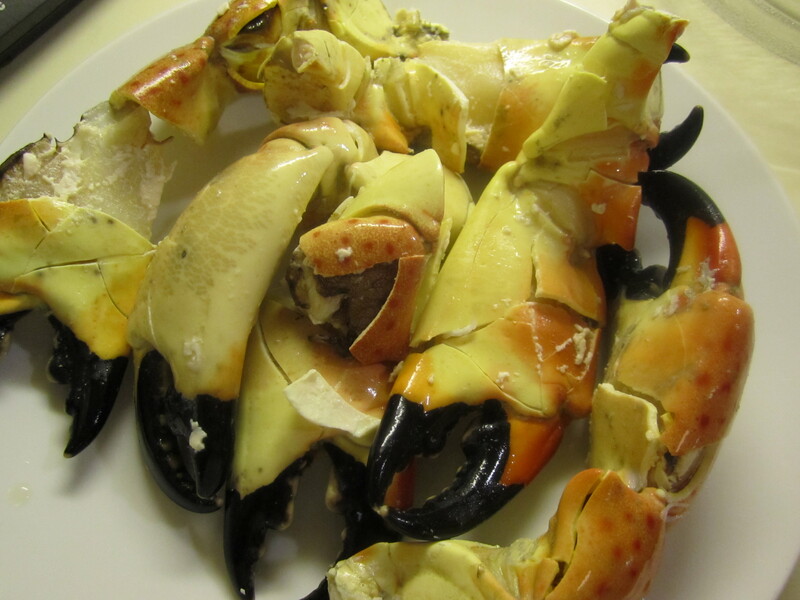 There is a traditional mustard/mayonnaise that is made to accompany stone crabs at the famous “Joe’s Stone Crab” in Miami (the shrine of stone crab claw consumption), but today, the claws were so sweet and juicy, we decided to simply serve them with a sprinkle of lemon as an appetizer. For the main course, I decided to let my mother take the lead . . . 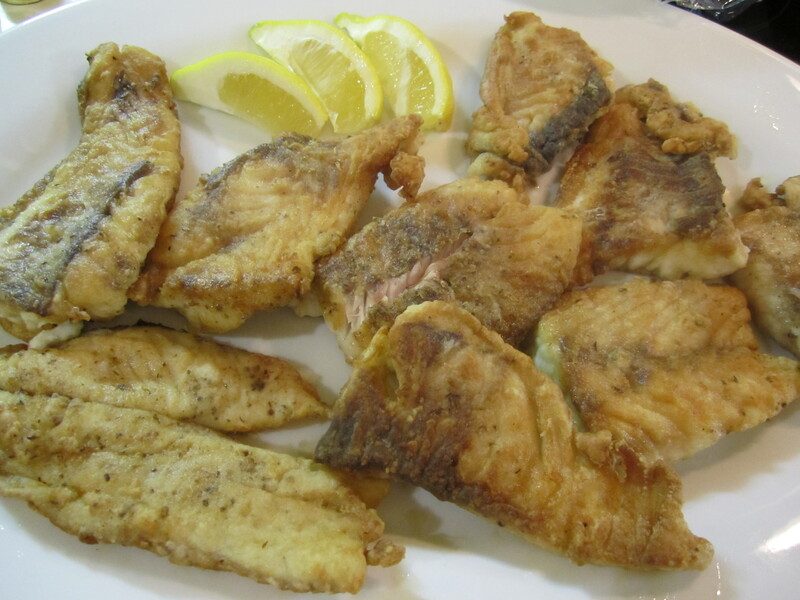 I would normally coat the fish with cornmeal and flour (see my prior post “Fritto di Mare“), but I wanted to see my mom’s method of pan-frying fish, so I asked her to make it her way. 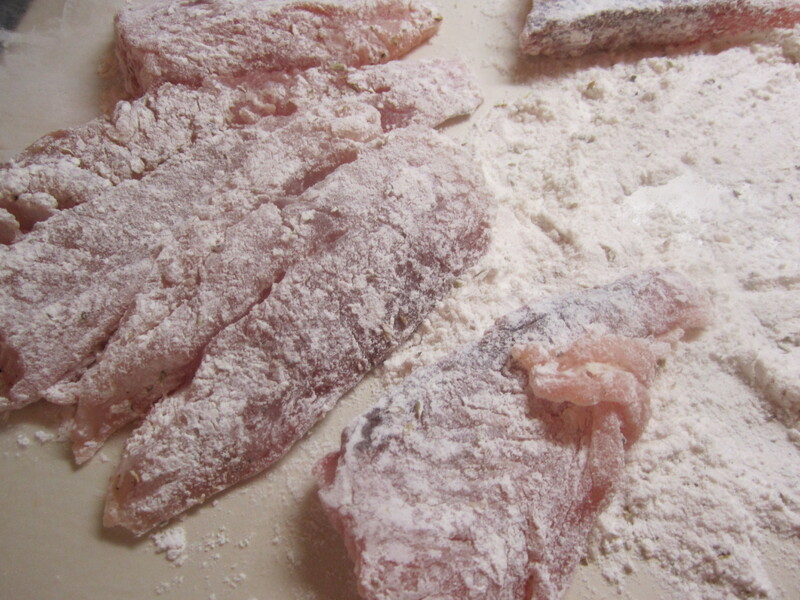 Her method was to simply dredge the fish with flour dusted with ground Italian oregano (brought back by one of her friends on their latest travels in Italy). This is one of the only dishes in which my mom uses oregano (the other is pizza sauce). 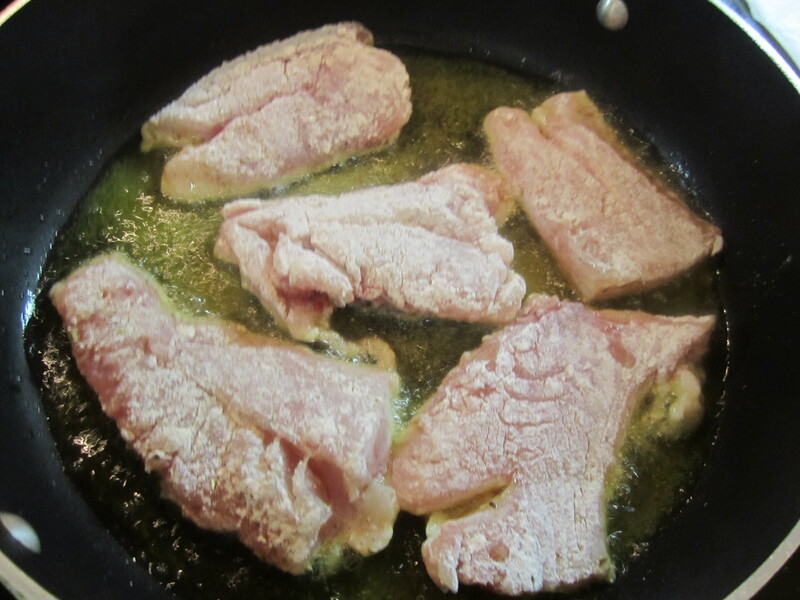 The filets went into smoking hot olive oil and became golden brown on both sides. To accompany the fish, we had some local Florida vegetables (purchased at a local famers’ market in the Keys). 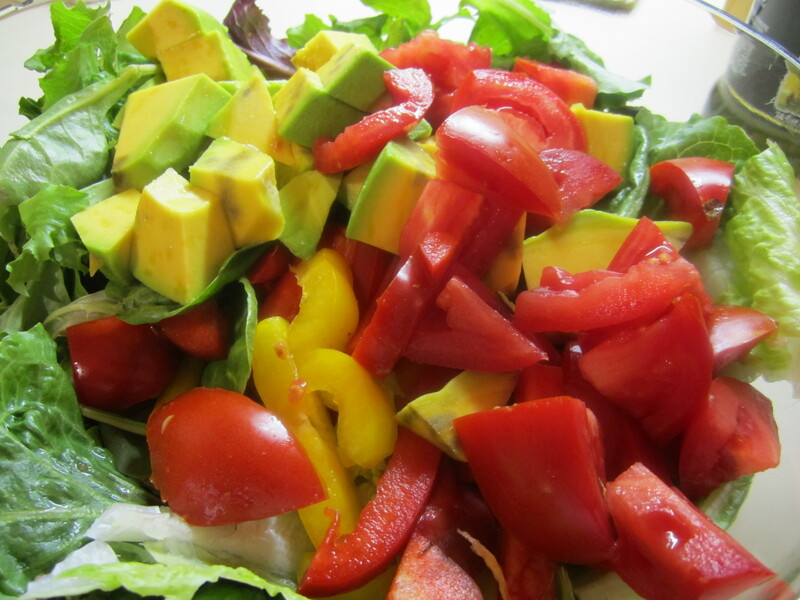 In our salad, we had local avocadoes and tomatoes. 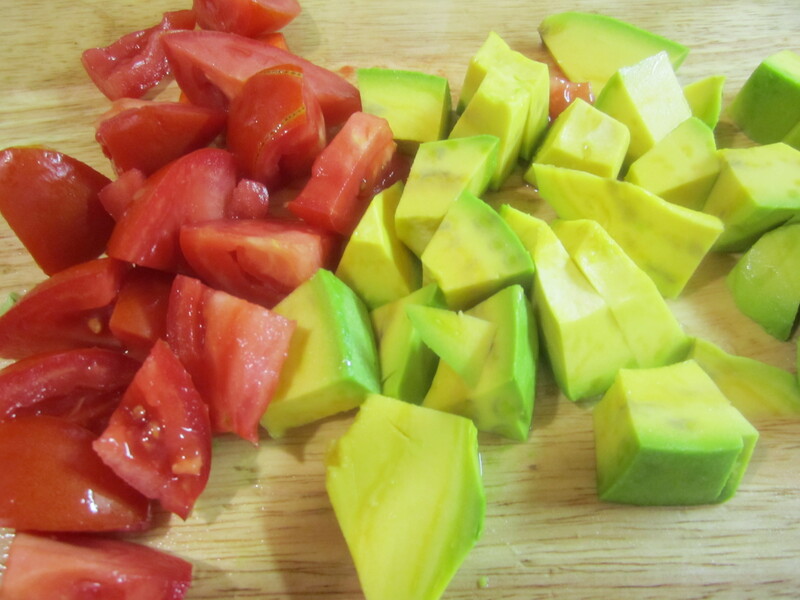 Florida avocadoes are a little leaner than California, but no less rich-tasting. They can be eaten a little firmer than California ones as well. This meal was the perfect ending to a wonderful tropical, sun-filled vacation. This year, even Floridians are quick to point out that they can’t remember the last year they had such a perfect season of moderate sunny weather every single day. Lucky me to have at least gotten a little taste of it! This entry was posted in Salads, Seafood, Vegetables. Bookmark the permalink.